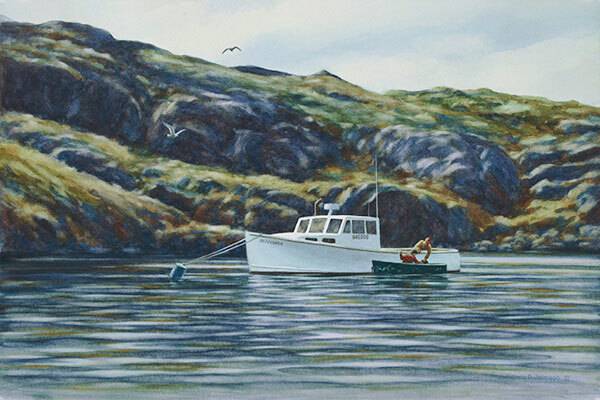 In Monhegan Island Harbor, two lobstermen are packing up to go home after the day’s haul. Original watercolor. Price on request.